01/15/17 – STIMULATE: Wicked Winter Wasteland 9 – featuring DISORDER: The Sounds of JOY DIVISION, Fetish Tribe\’s SUSPENSION, REDRUM Ball and January Birthday celebration on 3 floors! 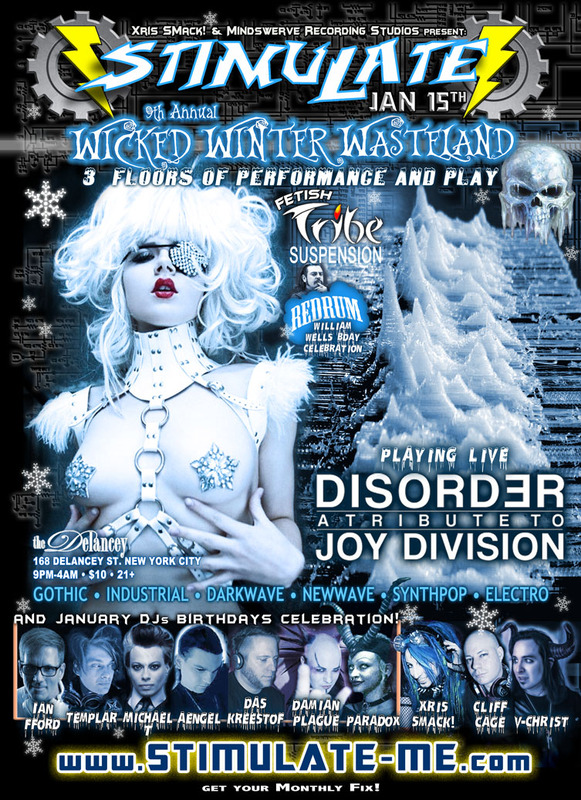 STIMULATE: Wicked Winter Wasteland 9 - featuring DISORDER: The Sounds of JOY DIVISION, Fetish Tribe's SUSPENSION, REDRUM Ball and January Birthday celebration on 3 floors! and January Birthday celebration on 3 floors!